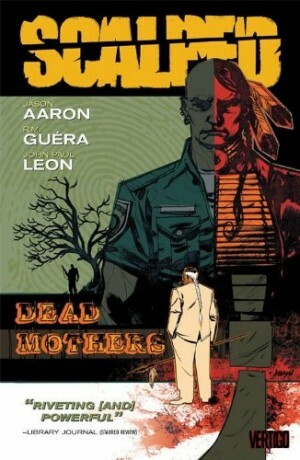 Two murders are central to the events of Scalped. One occurred way back in the 1970s Red Power movement. 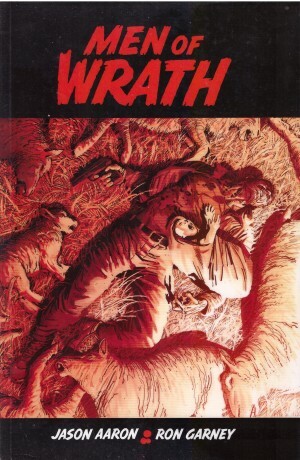 The second is a character important to three men: Dashiell Bad Horse, Lincoln Red Crow and the enigmatic Catcher. 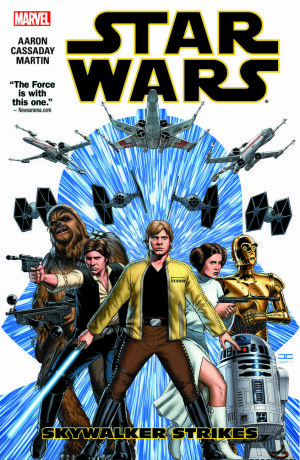 It’s a catalyst for events on Prairie Rose, but how Jason Aaron makes it all unfold is what makes the series so good. 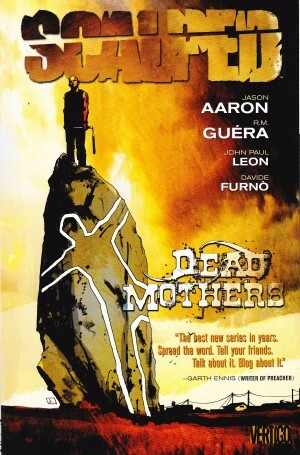 Dead Mothers consists of three stories written by Aaron with three different artists. ‘Dreaming himself in to the Dream World’ leads the series off on a more mystical tangent. Dash has nightmares every night, caused by the stress of his secrets. Then one night he has a ‘spirit dream’, one that spells both hope and warns of danger. 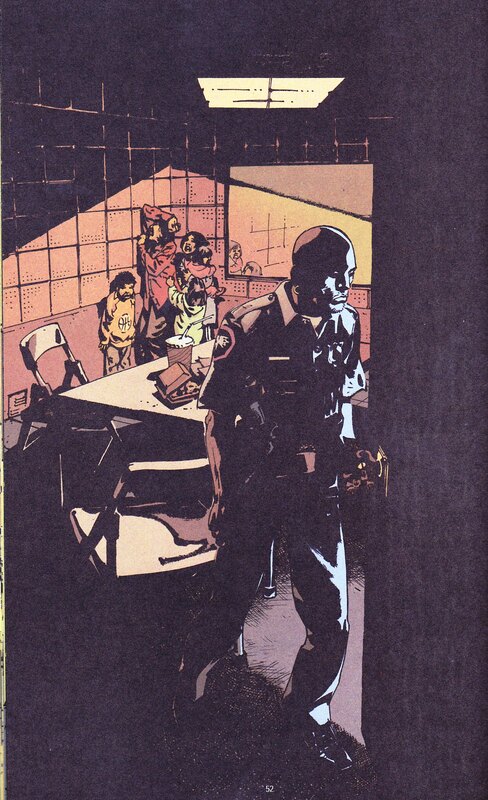 Illustrated by John Paul Leon it is spine-tinglingly good, differing very little from R. M. Guéra’s art. Title story ‘Dead Mothers’ is by series artist Guéra himself. Dash has to investigate two murders, both mothers though with different backgrounds. Aaron provides a heartbreaking and gripping character driven story. Guéra’s style employs far more shadows here to give every character a darkness. The grimy texture nails both the violence and environs of the Rez. ‘Falls Down’ focuses on Tribal Cop, Falls Down. He’s the only honest cop on the entire Rez and usually a thorn in Red Crow’s side. 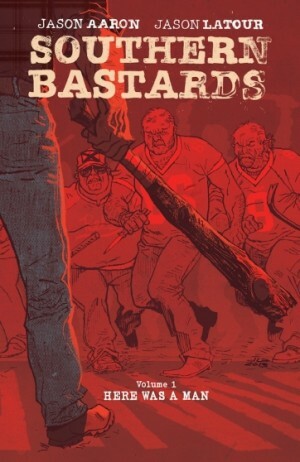 Now he’s the only person Red Crow trusts to investigate the murder of an old friend. Davide Furnò takes over artistic duties and differes from Guéra’s series default style, a bit softer and employing lighter textures. He captures the mystical elements of the story as both men re-evaluate their lives. Using an array of colours, Furnò creates an oasis of hope in the desolation of Prairie Rose. Aaron uses Dead Mothers to explore the effects of abject poverty on the reservations. This isn’t romantic or something easily dismissed. Grief is visible, and loss resonates in the pages, with anger, regret and pain leaving a discernible mark. Aaron rails at injustices committed against America’s Native Peoples, his righteous indignation simmering under the surface. While an excellent crime story, it is also social commentary. Aaron is clearly pissed off, but it doesn’t spoil the story. It’s honest, but not preachy. It adds marrow to the noir, gives it a granite edge, and is messy, unsettling and bloody brilliant. Scalped continues in The Gravel in Your Guts. 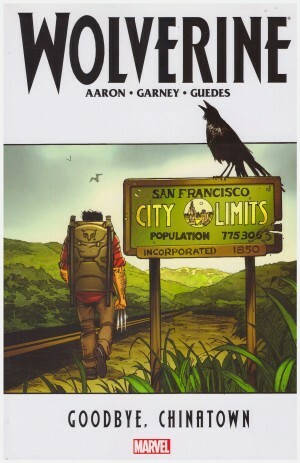 You can find both in the Scalped Deluxe Edition Book 2.